Hi! 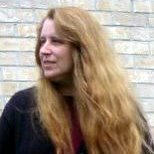 My name is Susan Hanniford Crowley and for several years now I’ve been the historian for the Arnhem Society, a secret society of vampires. I was invited onto this blog to tell you about the quirks of a certain CEO vampire by the name of Maximillion Vander Meer. Max is the Vampire King of New York, and he calls me Lily A. Snow to protect my human identity from other vampires. Very thoughtful of him actually, but Max is a thoughtful kind of guy. So rather than my talking about him, Max thought it better that he come along to share. Lily: Max, please, what would you say is quirky about you? Max (laughs): Oh, Lily, I don’t think there’s anything out of the ordinary about me. Lily: Let’s start with the Arnhem Knights. I understand that you started the knights shortly after helping to found the New Amsterdam colony. What do the Arnhem Knights do? Max: I viewed New York as a sanctuary right from the beginning. The Arnhem Knights are vampires who have taken a vow to protect humans from death by vampire and give assistance to any supernatural in danger. Lily: That’s very noble but very strange for vampires. I mean, you do drink human blood. Max: Actually I don’t anymore. Some do and they can from donors but not by attacking unwilling humans. Lily: Let’s get back to Amsterdam. I understand you were in on the negotiations with the Native Americans for Manhattan Island. Is that true? Max: Yes, Lily, I was right there when it all began. Lily (looking thoughtful): You didn’t hypnotize them or anything, did you? Max (smirks): It’s called mesmerization. Let’s change the subject on that one, ok? Lily: Ok, Max. You know what they say-out of the frying pan into the fire. I’ve heard you’re notorious among the ladies with something called a champagne bath. Can you tell us more about that? Max: It’s not something I can tell as much as show. Lily: Max, you’re being bad. Max: All right, I suppose I can explain a little and let your imagination do the rest. It’s just a matter of filling a bathtub with champagne and inviting a lovely lady for a bath. The bubbles are very stimulating. The loofa is fun too. Lily: So you bathe the lady? Max: And she bathes me. (He grins.) Sure you wouldn’t want a demonstration? Lily: No, thank you, Max. Remember I’m married. That leads me to my next question. I’ve heard that all male vampires are sluts. Is that true? Max: No. Well, yes. Please, let me explain. It’s very rare for a vampire to find love, true love, so male vampires make a lot of sexual alliances in their search for their one and only lifemate. Lily: So all male vampires are sluts? Max (sighs): Yes, many are, but not all. Not me. Lily: Wow, so you’ve kept yourself pure while searching for your lifemate, Max? Max: I’ve practiced more moderation than most, but you have to understand that when your human family and friends die, there is the most incredible loneliness. Lily (sniffs): Okay, let’s talk about romance. What would you say is the most romantic place in the city? Max: The most beautiful view of the city of New York is by sitting behind the crown of the Statue of Liberty. It’s also very private. Lily: Aren’t you worried that you and your date will fall off? Max (laughs): I float, remember. Lily: Is there anything else that would make a date memorable? Max (smiles that devastating smile of his): Always bring the lady roses. (He hands a double dozen bouquet of red Damask roses to Jill.) These were imported from Morocco just for you. Thank you for having Lily and me on your blog. Lily: Thank you, Jill. This book is the first in a series all about Max and the Arnhem Knights of New York. 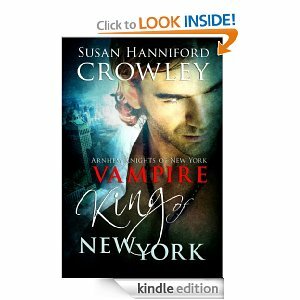 VampireKing of New York is now available on Amazon Kindle.